If you visit Arizona and the desert Southwest with your pet, you may hear about Valley Fever. While everyone knows people can get this difficult-to-diagnose disease, many are not aware that it affects dogs as well. Valley Fever is fairly common in dogs in Arizona, and dogs who travel to this desert area even for short periods of time can become infected. After returning home from a visit to Arizona, one visitor noticed that her dog had a cough. After a few days of dry coughing, she took her dog to the veterinarian thinking the dog may have kennel cough. Thankfully, lab tests and x-rays showed that the dog's cough was not Valley Fever and the diagnosis of kennel cough was confirmed. After a few weeks of antibiotics the dog's cough, and the infection that caused it cleared up. The visitor returned each winter season to the "Valley of the Sun," and brought her dog with her. One year her dog developed a limp. The dog wasn't in pain, just limping. 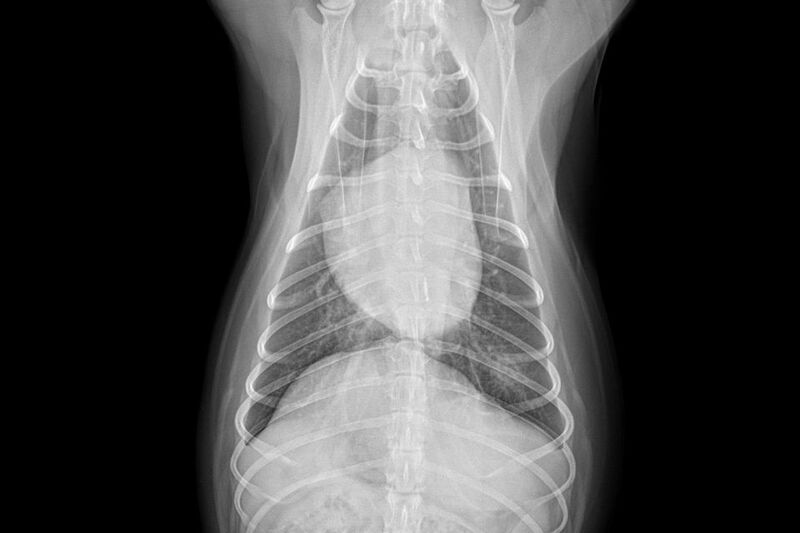 After a vet visit and more lab tests and x-rays, it was confirmed that her pet had Valley Fever. Many out-of-state veterinarians do not routinely test for Valley Fever, so it is important that they know that the dog has traveled to Arizona if the dog becomes ill.
Valley Fever is caused by a fungus that lives in the desert soil in the southwestern United States and is a respiratory disease that affects both humans and animals. It can also spread to other parts of the dog's body. While other animals are susceptible to Valley Fever, it manifests itself mostly in dogs because they are usually more exposed to dusty areas and have a tendency to sniff the soil, thereby inhaling the offending spores. The Valley Fever Center for Excellence at the University of Arizona in Tucson has long been acknowledged as an expert resource for Valley Fever information, and is involved in research and providing consultation to the medical community about the disease. This Valley Fever information is drawn from information provided by the university. Arizona isn't the only place where Valley Fever is an issue, but the disease is probably the most prevalent in Arizona and in Southern California. Valley Fever is found not only in the desert Southwest but also in other warm and dry-climate states. Dogs get Valley Fever by sniffing the soil. They sniff and that's all it takes. Humans cannot catch Valley Fever from their dog as it is not contagious. It is not passed from animal to animal, or animal to human, or human to human. It is a result of inhaling spores from desert soil. Coughing is one symptom. Others include lack of appetite, weight loss, a lack of energy, and/or weight loss. If the disease spreads to other parts of the body outside the lungs, the symptoms might also include lameness, seizures, eye inflammation, and swollen lymph nodes. Most dogs, like humans, are able to fight off the Valley Fever infection and never have any symptoms. Also like humans, the severity of the disease varies in dogs that develop it. It might be a mild infection or might develop into a serious illness. If your dog has been diagnosed with Valley Fever, your veterinarian will conduct tests to determine the degree to which the disease has advanced. Typically, the dog will be treated with an anti-fungal medication, usually Fluconazole (a pill). Other drugs are available as well, and your veterinarian will discuss the pros and cons of each. Your dog may be on this medication for a year or longer and may require future tests for the disease. Relapses are possible. There is the possibility that your dog could die from Valley Fever, but, with regular checkups and quickly addressing your dog's health problems, it is usually treatable. Luckily, Arizona veterinarians are very familiar with Valley Fever and will consider it early on in a symptomatic dog. If you take your dog to a veterinarian in Arizona with a cough, they may first try a regular antibiotic regimen to see if that resolves the cough. If that doesn't work, Valley Fever tests are ordered. Like most illnesses in dogs (and in humans) early diagnosis of Valley Fever will likely yield faster, more effective relief. Tests and treatments for Valley Fever are covered on most plans. Every company is different, and each company has different plans. If you plan to travel or live in the desert Southwest, when you evaluate pet insurance companies, make sure you ask what the coverage is for Valley Fever and how long it lasts. Be aware that most companies will not insure your pet for pre-existing conditions. That means that if your dog has already been diagnosed with Valley Fever, they probably won't cover it. Drugs like Fluconazole are typically obtained through regular pharmacies that offer compounding services and are not dispensed by the veterinarian. Because the prescription will be written in your pet's name, the pharmacy will not submit that to your (human) medical insurance plan. You will pay regular retail for it. Fluconazole can be very expensive. The dosage is usually between 2.5 and 10 milligrams per kilogram weight of your dog per day. Since a kilogram is about 2.2 pounds, a dog that weighs 65 pounds, may need 200 milligrams or more per day. It is very important that you inquire at different pharmacies to compare prices for your pet's drugs. When they are not covered by insurance, prices can vary greatly between pharmacy chains with Costco being a good option. You can't totally avoid Valley Fever—it's on the ground and in the air in the desert Southwest. It is caused by spores in the dust. You can, however, reduce the likelihood of your dog being infected, or at least mitigate its impact. Don't leave your dog in a yard or dog park that has not been landscaped. If it's just dirt and dust, that's what your dog is inhaling all day. Grass or desert rock/gravel is better. Don't walk or run your dog in open desert areas or undeveloped dusty lots. Don't walk your dog during dust storms or haboobs. Be aware of symptoms, and have your dog examined by a veterinarian if they become symptomatic. It's not just a cough. Valley Fever can spread to other organs. What or Where Is the Valley of the Sun? Should You Allow Your Dog in the Swimming Pool? You'll Never Find All 1,500 Petroglyphs But You'll See a Bunch! Nothing to Do in the East Valley Today? Go to the Movies! Are Allergies Better or Worse in Phoenix?